Newly minted NBC host Megyn Kelly will travel to Russia next month to host a forum with President Vladimir Putin. Kelly, who officially started at NBC on Monday, will interview Putin while she moderates a session during the St. Petersburg International Economic Forum, which takes place from June 1 to June 3, Page Six reported Tuesday. 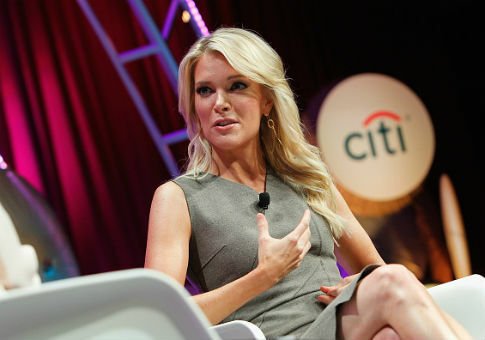 "Megyn Kelly of NBC News will moderate the plenary session of the St. Petersburg International Economic Forum on stage with Russian Federation President Vladimir Putin," an NBC News spokesperson told Page Six. "The conversation will cover a wide range of global political and economic topics, including international trade agreements, cyber security, and the impact of rising military tensions." News of Kelly's trip came after NBC News head Andy Lack traveled to Russia in an attempt to secure an interview with Putin for the network. It was unclear at the time which NBC anchor would get the prized interview. "Nightly News" host Lester Hold and "Today" show host Matt Lauer were also in contention. Kelly has been preparing to debut two new shows for the network since she left Fox News. One program will be a daily morning talk show, set to start in the fall, and the other is a Sunday night news magazine show, set to start in June. Putin has been a figure many in the media have sought to interview since the U.S. government said Russia attempted to influence the 2016 presidential election through a cyber and disinformation campaign. The Russian president gives very few interviews to Western journalists. This entry was posted in Culture and tagged Megyn Kelly, NBC News, Russia, Vladimir Putin. Bookmark the permalink.